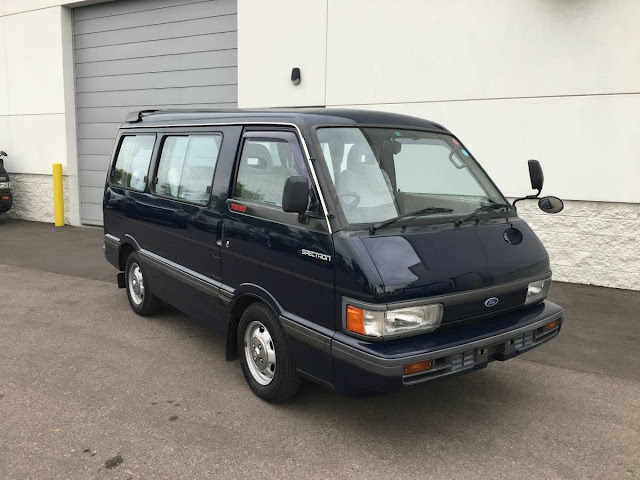 The Ford Spectron XLT wasn't a van...and it wasn't sold in the USA...in fact, it wasn't even really a Ford, it was a Mazda Bongo that had been given a Ford badge and sold for Japanese family & light commercial needs. Find this 1990 Ford Spectron XLT offered for $11900 in Gilbert, AZ via craigslist. Tip from Rock On! This vehicle just arrived from Japan and is in excellent condition. It is a Ford Spectron XLT. Everything in this van is in working condition. The body is straight and paint is excellent. 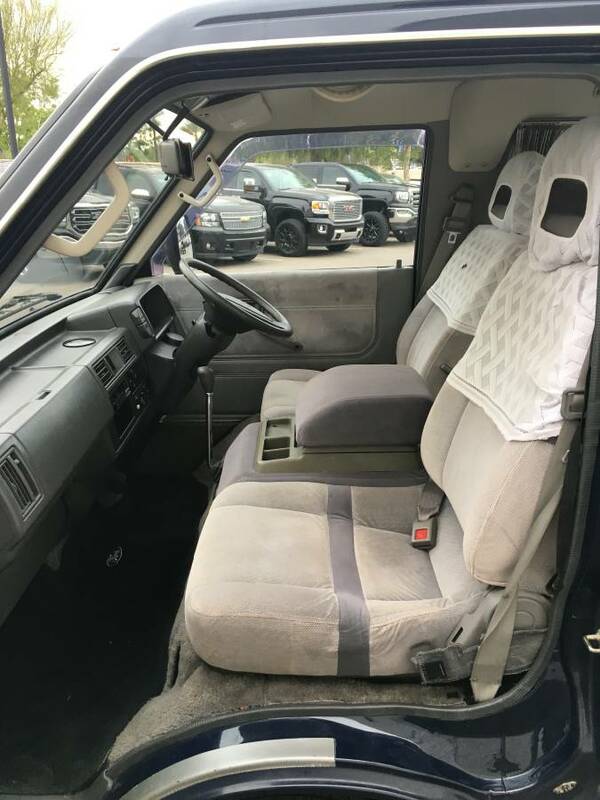 Interior is very clean. The second row bench rotates 360 degrees. All the seats lay down to make a bed. It has front and rear air conditioning with rear a/c controls. It is a right hand drive 2.0 liter turbo diesel with a 5 speed manual transmission. This van is rear wheel drive. The vehicle has passed emissions and has an Arizona title. Call 602- to see it. Located near Val Vista and the San Tan 202 freeway. I first thought that was duct tape across the seat, but other pictures show it's apparently the factory upholstery. That's Fireball XL5, for those who did not grow up with Gerry Anderson's various space series.